These tires are classics! Rim Width (in): 7.00. We recycle! OD (mm): 500. Our team works hard to find you the best deals and provide you with a wide selection of products. The best products, the best prices ! Tire Model:D265. They are durable, strong, and reject punctures that other tires wouldn't. Tire Type:Turf. Entering a quantity of 1=2 Tires. MAKE SURE YOU GET THE BEST VALUE FOR YOUR MONEY. The classic square shoulder design provides excellent traction on turf, grass and utility applications. TWO NEW TUBELESS LAWN TRACTOR TIRES. Best deal for a 18" Tire and Rim Assembly! 18x9.50-8 Carlisle Turf-Saver with Rim (3/4" Bore). Rim Bore: 3/4". Bore Keyway: 3/16". Rim Color: Black. Designed for wheel weights. Wheel Weight Hole Spacing: 4-7/16". SET OF TWO HEAVY DUTY CARLISLE 6-12 LUG. Rim Width Max 5. Rim Width Min 5. Max Tire Pressure 28. Max Load Single 590@28. Tread Depth 20. Season Designation N. Product # 5233C3. Trending at $144.81eBay determines this price through a machine learned model of the product's sale prices within the last 90 days. For turf and lawn & garden applications. Turf Tires. 4 ply Tubeless, 22.4" tall, 8.4" wide. "serving your enTIRE needs since 1970". The wheels are NOT included. Pattern: P332. Rim Width (in): 8.5. Canceling Your Order. We recycle! Our team works hard to find you the best deals and provide you with a wide selection of products. They are durable, strong, and reject punctures that other tires wouldn't. Tire Model:D402. Tire Type:Lug. Entering a quantity of 1=2 Tires. COLOR: P28 Husqvarna Silver. For Garden Tractors - Riding Mowers - Snow Blowers - Tillers - Go Kart NHS Tire. Tires will arrive mounted on Wheels; just bolt and go. This is a PULLING AXLE APPLICATIONS ASSEMBLY. They are durable strong and reject punctures that other tires wouldn't. • Type:Turf. 16x6.50-8 Firestone. This tire is for your lawn mower or garden tractor. 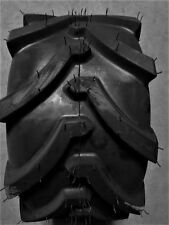 3 Rib Tire. 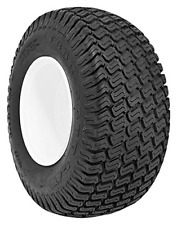 This tire will make your garden look like aBIG tractor and will steer likePOWER steering. Check your tire size before buying! For turf and lawn & garden applications. The price is for ONE tire, you may buy two tires by changing the quantity when you Buy-it-now. 4 ply Tubeless, 18.1" tall, 8.7" wide. The wheels are NOT included. Tread Depth: 9/32 Load Index: N/A. YOU GET 2 TIRES mounted on 2 WHEELS FOR THE PRICE LISTED. FINISH: Grayish Sand color / Painted Steel Wheel. Garden Tractor Rim. 12 x 10.5 Blank. The price is for ONE wheel, you may buy two wheels by changing the quantity when you Buy-it-now. Reuse your center disc. Matching Set of Two 18X9.50-8 Lawn Mower or Lawn Tractor Tires. 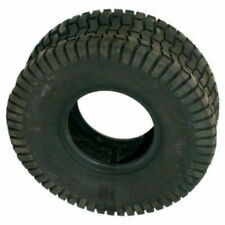 SET of TWO 18X9.50-8 Lawn Mower Tires. Tires only. No Wheels. Front Garden Tractor Wheels. You are buying 1 pair (TWO wheels). For 16x6.50-8 tires. with 3" hub, hub offset to the back side. 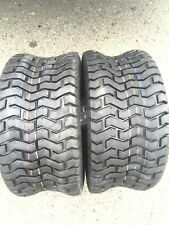 Matching Set of Two 20X10.00-8 Lawn Mower or Lawn Tractor Tires. 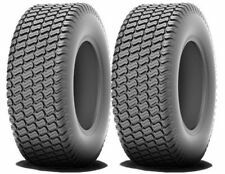 TWO NEW HEAVY DUTY 4 PLY RATED TUBELESS LAWN TIRES. QUANTITY OF 1=2 TIRE. THESE TIRES HOLD UP AGAINST PUNCTURES. For Garden Tractors - Riding Mowers - Snow Blowers - Tillers - Go Kart NHS Tire. Tires will arrive mounted on Wheels; just bolt and go. This is a PULLING AXLE APPLICATIONS ASSEMBLY. BOLT PATTERN:SHAFT ; KEYED slot TYPE. 20 x 10.00-8 Carlisle Turf-Saver with Rim (3/4" Bore). Rim Bore: 3/4". Bore Keyway: 3/16". Rim Color: Orange. Tire: 20x10.00-8. Condition: New. Part Number: 260361. Ply: 2 Ply. (8) Carriage Bolts (10" long). for Lawn & Garden Tractors. Dual Wheel Spacer Kit. The Wheels and Tires are NOT included in the Kit ! with 12" Tires. Kit includes. Tread: P332. Size: 18x9.50x8. We recycle! Our team works hard to find you the best deals and provide you with a wide selection of products. The best products, the best prices ! Tread Pattern: P5023. Size: 24x12x12. 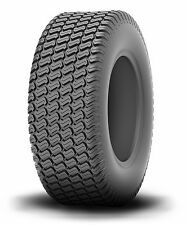 These tires are designed with a self cleaning function and small transverse blocks for significantly improved traction. We recycle! Pattern: P512. We recycle! SW (mm): 180. Our team works hard to find you the best deals and provide you with a wide selection of products. The best products, the best prices ! Matching Set of Two 20X8.00-8 Lawn Mower or Lawn Tractor Tires. 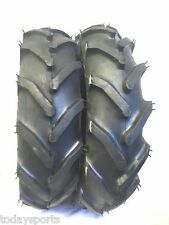 SET of TWO 20X8.00-8 Lawn Mower Tires. Front Garden Tractor Wheels. You are buying 1 pair (TWO wheels). For 4.00-8 and 4.80-8 tires. THESE ARE IN GREAT CONDITION AND IT SHOWS TIRES ARE SOLID BUT SHOULD GET INNERTUBE PUT IN AS THE TIRES LEAK LIKE ALL THE REST OF THEM. GREAT TREAD LITTLE TO NO RUST ON WHEELS. The tube size is 4.80x4x8. These tubes have straight valve stems. The classic square shoulder design provides excellent traction on turf, grass and utility applications. Tire Type:Turf. Entering a quantity of 1=2 Tires. Turf Saver Tires. Tread: Turf. Lawn Mower Tire Garden Tractor. Tire Size: 15x6.00-6. Kenda Super Turf K500. The price is for ONE tire, you may buy two tires by changing the quantity when you Buy-it-now. Type: Tubeless2. Size: 23/10.50-124. Load: 1340 lbs5. SW（in）:11.417. OD（in）:23.228. Material: Rubber9. Color: Black10. Weight: 38.58 lbs11. 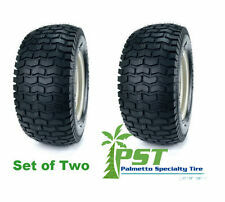 Matching Set of Two 23X8.50-12 Lawn Mower or Lawn Tractor Tires. 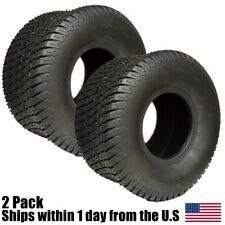 SET of TWO 23X8.50-12 Lawn Mower Tires. Tires only. No Wheels. Type: Tubeless. You are purchasing a pair of new ribbed tires. Tread: Ribbed. Product Details. 15x6.00-6 Carlisle Turf-Saver with Rim (3/4" Bushing). Wheel Bushing ID: 3/4". Wheel Width: 4.5". Visible shaft back of wheel: 1.38". Condition: New. THESE ARE NEW NEVER MOUNTED NEVER USED. NOTE: NHS This tire a N on H ighway S ervice ASSEMBLY. the wheel is closest in color to the darker wheel pictures. Tire Size: 15x6.00-6Tire Ply: 2ply Load Range "A"NHS. Wheel Color: P28 Husqvarna Silver. Tread Depth: 6/32 Load Index: 78/A2. RIM Manufacturer:Monitor Rim Type: Welded Steel NHS. THE RIM Part#6823-28. THE TIRE Part# W501220884. NHS This is aN on H ighway S ervice Tire. 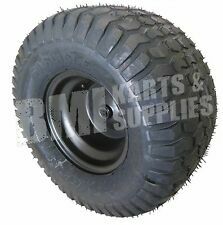 2- 23x10.50-12 Riding Lawn Mower Garden Tractor Turf TIRES. Model: D-265 Turf. QUANTITY OF 1 =2 TIRES. Ply: 4 is LR B. Size: 22x11x10. Tread Pattern: P332. Modern Pattern, Deep treaded and square shouldered turf tyre. We recycle! 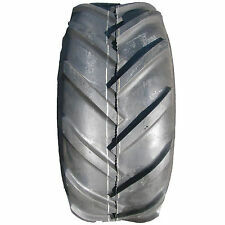 22x10.00-8 Lawn Mower Garden Tractor TIRE RIM WHEEL Assembly Kenda K358 3/4" ID. RIM Manufacturer:Monitor Rim Type: Welded Steel NHS. NHS This is aN on H ighway S ervice Tire. Style: Keyway Drive Axle Wheel. Matching Set of Two 18x8.50-8 Lawn Mower or Lawn Tractor Tires. 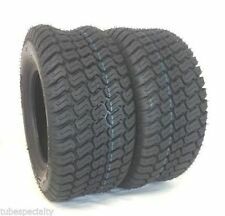 SET of TWO 18x8.50-8 Lawn Mower Tires. Tires only. No Wheels. Garden Tractor Wheel. with 4.5" bolt circle, 3.13" center hole, and 4" backside spacing. 12 x 7 - 5 Bolt. For 23x8.50-12 tires. The price is for ONE wheel, you may buy more by changing the quantity when you Buy-it-now. 2 NEW 18x9.50-8 Deestone Riding. Manufacture: Deestone. Garden Tractor Turf Tires 4ply. Model: D-265 Turf. Lawn Mower. QUANTITY OF 1 = 2 TIRES. Tread Depth: 21/32 Load Index: N/A. Maximum Weight Carrying Capacity: 695 lbs. & 25 m.p.h.